As a former Cast Member, longtime Disney fan, and frequent visitor to the Walt Disney World Resort, I am always on the search for new resources and references to recommend to friends and family for planning purposes. 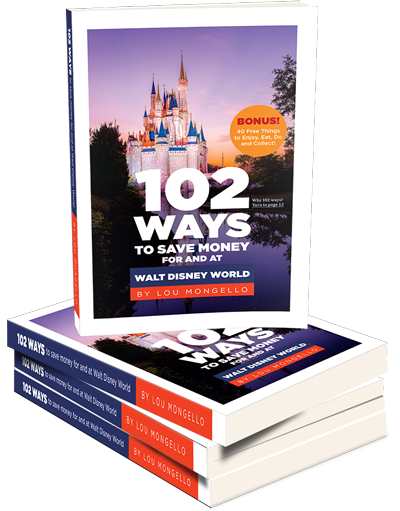 With so many things to see and do, along with the diversity of opinions when it comes to what the “best” ways to tour the parks are, a “one size fits all” approach is often out of the question – well, that is, until I read 102 Ways to Save Money at Walt Disney World! You see, 102 is not your typical “guidebook” – if you can even call it that! With the electronic copy (which I read from “cover to cover” on my nook HD) it is essentially a well-organized and highly-detailed list with super-convenient links to all the information you need to know! No more reading, bookmarking, and searching later…it’s all right there at your fingertips! Each tip is broken down into three components: an estimate as to how much the tip could save you (in percentage, or dollar amount), additional descriptive information, and, if relevant, web links or, even better, links to WDW Radio Podcast episodes that correspond accordingly. With more than 100 tips (or “ways”) divided into ten sections ranging from pre-trip planning, to choosing the right tickets, accommodations, dining, shopping, and more, it’s easy to skip around and review topics at your leisure, and pick and choose the methods that work best for your individual situation. Example? 102 doesn’t insist that a successful vacation necessitates cashing out your mortgage to drop dollars at a concierge-level booking in the fanciest deluxe report, but doesn’t suggest that Motel 6 on the corner either – it presents all options – and even some you may not have considered before! That accommodations example is but one of many that author Lou Mongello outlines in 102 – and as Mongello states, he is so confident of the book’s usefulness that he guarantees the book price – and at less than $14, it’s a risk that I’d definitely be willing to wager on to any of my friends and family looking for a quick and definitive resource. YES! In addition to the 102 money-saving tips, there is a BONUS chapter of 40 unique and totally free souvenirs, events, and experiences at Walt Disney World – and believe it or not, after working more than four years at the WDW Resort, and frequently visiting as Disney Vacation Club Member and Annual Passholder – there were some really neat free things listed that I had never even heard about or considered. Although you definitely can peruse through 102 in whatever method you choose, selecting the chapters you might need the most help with, I admit that I read it in order, novel-style, before popping back and forth through the chapters and links. I found the style very easy to read – almost conversation-style – and the close attention to the most up-to-date details as possible was incredibly admirable. I thoroughly enjoyed this book, and will certainly be reaching to it as I plan future staycations (and even day trips) to Walt Disney World, and sharing it as a “go to” tool to others. Visit this link to check out the book, and order your copy today. 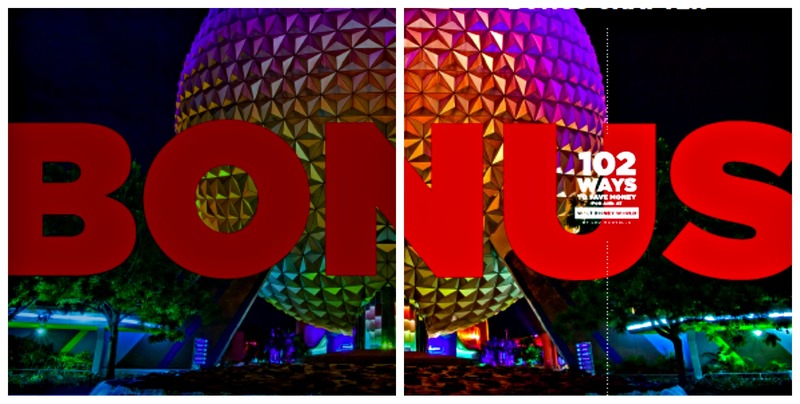 What are your favorite Walt Disney World planning guides? Do you read travel books? Can’t wait to check this out – we are going for family vacation over fall break so I could use some of these money saving tips! Thank you, Krissy! I’m so glad you enjoyed the book and sincerely appreciate your wonderful (and fun!) review!